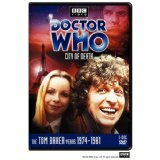 Tom Baker's reign as the venerable British science fiction hero Doctor Who began with this four-part serial from 1974-75; it also marked the dawn of what was arguably the most popular period in the program's history. 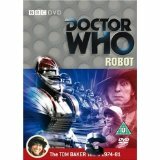 Written by Terrance Dicks, Robot also introduces the late Ian Marter as the Doctor's companion-to-be Harry Sullivan, a UNIT medic who is pulled into the adventure after treating the Doctor, who is recovering from his fourth regeneration (third Doctor Jon Pertwee appears briefly at the beginning of the first episode). 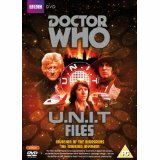 Meanwhile, Sarah Jane (Elisabeth Sladen) and the Brigadier (Nicholas Courtney) investigate a series of robberies involving a top secret weapons project that seem to have been carried out not by humans, but a colossal object. Could the mysterious "Think Tank" and its robotics division be involved? Robot is a terrific launching point for "The Baker Years" the star himself is charming and amusing, and the story itself is brisk, involving, and quite suspenseful at times. In short, it's an excellent point for Who newcomers to introduce themselves to this most well-loved of Doctors. Tom Baker's second outing as the renegade Time Lord is a solid entry in the Doctor Who saga. 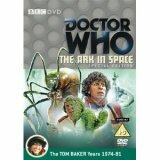 Fan favourite Robert Holmes penned "The Ark in Space", which places the Doctor and his companions Sarah (Elisabeth Sladen) and Harry (Ian Marter) on a seemingly deserted space station many years in the future. Station Nerva is not as empty as it appears, though, since on board are the cryogenically preserved survivors of Earth's destruction, as well as an insect-like alien race, the Wirrin, determined to use the humans and the Doctor as hosts to grow their monstrous larvae. Holmes' well-paced script (which, like Alien, bears a resemblance to the AE van Vogt story "Black Destroyer") allows Baker to flesh out his well-loved take on the Doctor, as well as considerable suspense. 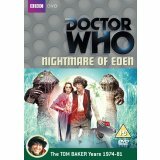 Tom Baker stars as the enigmatic Time Lord in this classic two-part adventure. 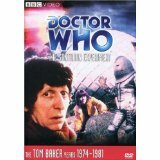 Arriving on a seemingly deserted Earth, the Doctor, Sarah (Elisabeth Sladen) and Harry (Ian Marter) soon discover a crew of shipwrecked astronauts from a distant Earth colony. 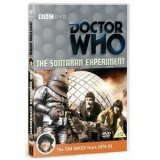 Lured there by a fake distress call, the astronauts are being experimented on by the deadly Sontarans in preparation of a full-scale invasion of the planet. Can the Doctor defeat Sontaran Field-Marshall Styre (Kevin Lindsay) and save the world? 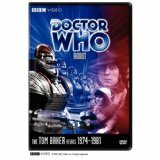 One of the finest stories of the classic Doctor Who age, Genesis Of The Daleks finds Tom Baker at his peak in the lead role, and ultimately facing one of the most significant moral dilemmas of his era as the Time Lord. Thats alongside the small matter of his most infamous enemies. This is the adventure that goes right back to the roots of the Daleks, from their humble beginnings to the point where they become the Doctors most fearsome foes. Across the six episodes, we find that the Doctor has been sent to the planet Skaro, where he discovers the evil genius Davros, who is about to fully unleash his deadliest creations into the universe. 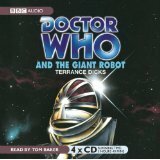 Accompanied by Harry and Sarry, The Doctor also finds himself stuck in the middle of an ongoing war between the Thals and The Kaleds, in a story packed with danger and adventure. 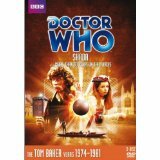 DOCTOR WHO � THE MONSTER COLLECTION: Davros contains two exciting stories! DAVROS is a genius scientist responsible for creating the most dangerous races in the universe � the Daleks. Ruthless and dangerous, he is determined that his creations will always win. GENESIS OF THE DALEKS is a six-part adventure from 1975. The Fourth Doctor, played by Tom Baker, is sent on Time Lord mission to Skaro to destroy the Daleks. 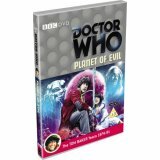 Doctor Who - Planet of Evil features the Tom Baker Years 1974-1981 and is classic Doctor Who viewing. The TARDIS materialises in an English quarry where Sarah is involved in a rock fall. When she is rescued, she is clutching a stone hand, which takes control of her and forces her to take it into the core of a nuclear reactor. 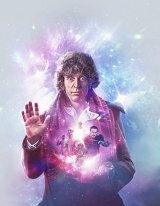 The Doctor (Tom Baker) arrives too late to stop the hand from regenerating into an alien lifeform known as Eldrad, who demands to be returned to her home planet of Kastria. The Doctor obliges, but all is not as it seems with Eldrad. This was Sarh Jane Smith's last adventure with the Doctor, although she later returned in 'K-9 and Company', 'The Five Doctors' and 'Downtime'. But why do the Sevateem call the Doctor the Evil One? And what are the invisible creatures in the jungle? The Time Lord, with the help of a girl called Leela, is about to find out. 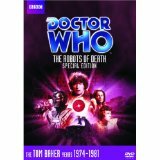 "Robots of Death" follows on directly from "Face of Evil," which was writer Chris Boucher's debut and also that of Louise Jameson's Leela, the Doctor's most shapely companion (a kind of Neanderthal Seven of Nine if you will). Boucher's second Who story concerns an isolated mining ship on which a series of inexplicable deaths takes place--although as the Doctor opines, "nothing is inexplicable, only unexplained." The Doctor and Leela inevitably become embroiled in events, which soon turn into a sci-fi murder-mystery: imagine Isaac Asimov crossed with Agatha Christie in a Dune-like setting. Revisitations 1 is a 7-disc boxset containing updated and remastered versions of three previous Doctor Who DVD releases - 'The Talons of Weng-Chiang', 'The Caves of Androzani and Doctor Who  The Television Movie with 3 extra discs of special features, which equates to over 300 minutes of brand new content. 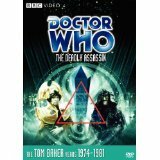 In The Talons of Weng-Chiang, our inimitable Doctor Who and his assistant Leela are confronted by sinister and seemingly inexplicable occurrences in this gripping thriller set in the shadowy depths of nineteenth century London. With the help of Professor Litefoot, the Doctor investigates the gruesome murder of a cabbie and the mysterious disappearances of young girls. Whilst being chased by giant rats and forced to pit his wits against an evil doll and a merciless illusionist, he comes face-to-face with his most deadly enemy to date: Magnus Greel - a fifty-first century war criminal posing as Weng Chiang, an ancient Chinese god. When a small clippper runs aground on the crags of Fang Rock the lighthouse offers shelter to its desperate passengers. But the Doctor soon discovers clues that suggest that no one is safe on the tiny island. Whilst a private drama unfolds between the survivors of the wrecked clipper, another death occurs. The Doctor suspects a ruthless alien lurks in the thick unnatural fog around the island and secures the lighthouse. But has he really locked the horror out, or is it somewhere inside with them...? 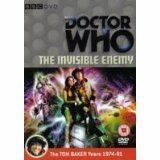 Starring Tom Baker, The Invisible Enemy is a four-part story featuring the screen debut of K9, the robot canine. When The Doctor answers a distress call from a shuttle crew who have been infected with an intelligent virus, he too becomes contaminated. The only solution is to create clones of The Doctor and his companion Leela (Louise Jameson) to enter his body and fight the virus. 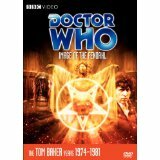 In the four-parter 'Underworld', the TARDIS lands the Doctor (Tom Baker) in a Minyan spaceship that is on a quest to find the Minyan race banks stored in a missing ship known as the P7E. They eventually find what they are looking for in a cave system at the centre of a newly-formed planet. But the P7E's computer has ideas of its own, and doesn't look kindly upon its new visitors. 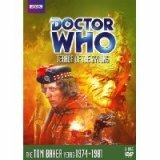 The Key to Time starring the much loved Tom Baker is a multi-story box set containing the six linked stories comprising Doctor Who's 16th season along with a huge array of extras contained on seven discs. In The Key to Time, the Doctor and his new companion, the elegant and sharp-witted Time Lady Romana (Mary Tamm) are dispatched by the White Guardian to recover the six segments of the Key of Time, a powerful device with the ability to stop time.The Doctors and Romans mission is to find the six segments before the evil Black Guardian discovers them. 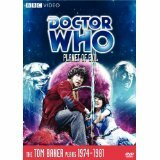 Two spacecraft fuse in a hyperspace collision, and with the dimensional instabilities threatening everyone aboard, its fortunate the Doctor (Tom Baker), Romana (Lalla Ward) and K-9 arrive to help. But when a crewmember is found clawed by a ferocious creature, it seems theres something even more frightening stalking the corridors. But what can this have to do with a zoologist, Professor Tryst, his CET projection machine, and a planet called Eden? In the four-parter 'The Horns of Nimon', the Skonnon ships have returned to the skies of Aneth, demanding tribute. But as the final consignment is being taken to Skonnos, an accident forces the ship off course. An abandoned Doctor Who classic is brought to life. 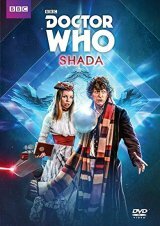 Starring Tom Baker and written by Douglas Adams, this is Shada for a modern audience, with footage upscaled to high definition, and incomplete footage now completed using high-quality animation. More than 30 Years in the TARDIS is an extended version of a documentary first shown in November 1993 as part of the 30th anniversary celebration about everybodys favourite science-fiction series, Doctor Who. 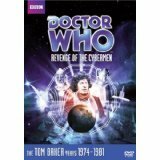 Re-discover seven classic adventures from Tom Bakers final year as the much-loved Fourth Doctor. 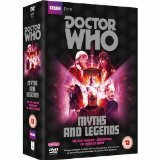 In these twenty nine episodes, the Doctor and his companions encounter the Foamasi, Meglos, the Marshmen, vampires and Tharils, building to a final deadly showdown between the Doctor and his arch nemesis the Master. Full Circle: The Doctor discovers the TARDIS has fallen into E-Space and landed on the planet Alzarius. Its only inhabitants live on a vast, dilapidated spaceship which they have been attempting to repair for generations in order to return to their home planet. But Mistfall, a legendary time of terror, is coming again to Alzarius, and an eerie menace is rising out of the misty marshes. The Doctor and Romana must solve the riddle of the strange Marshmen if they are to have any chance of returning to their own universe. 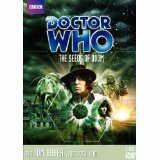 State of Decay: Searching for a way out of E-Space, the Doctor and Romana, joined by a young stowaway, land on an Earth-like planet. Here the people live in fear of 'the Three who Rule'; cruel lords who live in a high tower overlooking their village. Suppressing all learning to keep their subjects ignorant and helpless, what chilling secret are these ruthless monarchs concealing? 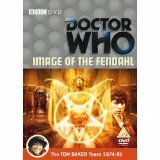 An ancient evil is rising once again and only the Doctor and Romana can destroy it. Warriors Gate: A strange creature forces its way into the TARDIS steering them to a white void occupied only by the ruins of an old building and a spaceship. This empty space is a gateway to the past and future and the creature responsible for taking them there is Biroc, a Tharil, an enslaved race. The gateway offers the only exit out of E-Sapce, but the void is contracting. Are the Doctor and his friends fated to spend eternity in E-Space? And what final shock revelation awaits the Doctor? 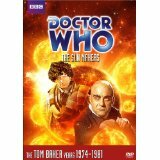 New Beginning Boxset - A good value boxset that unites a loose trilogy of stories of varying interest from the back catalogue, Doctor Who: New Beginnings maintains the high standards set of late by the shows catalogue releases. Beginnings is the underlying theme, with the stories following the introduction of the late Anthony Ainleys take on The Master, the swansong of Tom Bakers Doctor, and the debut of Peter Davison in the title role. The first story, "The Keeper Of Trakken", tells of a living statue that poses a threat to Traken World. 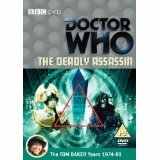 Its quite a good tale, introducing Nyssa to the Doctor Who Universe, but more worryingly for the Doctor it also plays host to a resurgent Master. 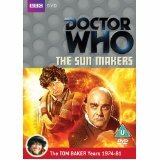 The Master plays a crucial part in "Logopolis", Tom Bakers final story in the title role. Its the best story in the New Beginnings boxset, as the Doctor battles both The Master, and the potential end of the Universe when the mathematicians of Logopolis are threatened. Along the way, he also adds Tegan to the crew of the TARDIS for the first time, with the first appearance of Peter Davison as the Doctor, too.